Everyone has empathic ability. Some are just super sensitive and don't realize they are picking up and carrying the energetic burdens of others. It can manifest in harmful ways for them if they don't know how to protect themselves and set boundaries. It helps to know what to look for. I hope to write a book to help others gain insight. If you are interested in more spiritual topics, you might enjoy my blog and podcast We Are One in Spirit.This week's podcast guest shares his experience in seeing and touching ectoplasm (the essence of ghosts) as it streamed from a full-manifestation trance medium! Learn more or listen to my interview with Dr. Jan Vandersande at We Are One in Spirit. 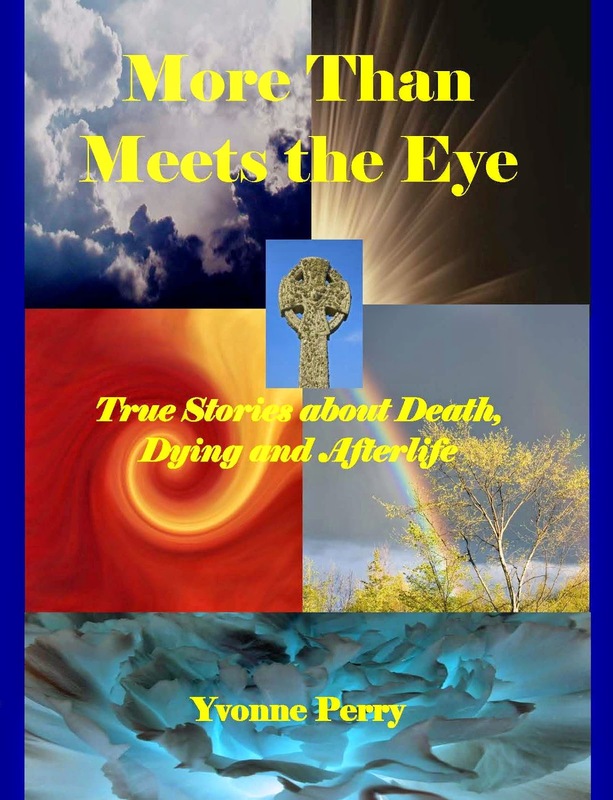 For more information, you might enjoy reading my book More Than Meets the Eye True Stories about Death, Dying, and Afterlife. My friend Iris wrote me again this week with another significant story that I want to share with my readers. Even though Iris is a Christian, she has some very obvious psychic gifts in operation. These are referred to by Pentacostal Christians as the gifts of the Spirit (I Corinthians 12: 4-8). One day when I was 13, my dad planned a fishing trip with the family. As much as I love fishing, that sunny July morning was quite frightening. The previous night I had been twisting and turning unable to sleep. That day as everyone happily approached the van for our trip, I felt a magnetic force pulling me away along with discomfort and nausea. I begged my dad to please reschedule the trip. I told him that I felt sick and scared and that we shouldn't go. Confused by my sudden behavior, he commanded me to get in the van. When we arrived at the lake we did the usual "spread out no more than 12 ft rule." I was still freaked and disturbed but spoke to no one about anything. I took my fishing pole and sat on a rock. Two minutes later my little sister came to sit next to me. I tried to kick her out of my spot but she begged me to let her stay. She asked me what was wrong and why I didn't want to come on the trip. Out of nowhere I heard a distant, shattered voice yelling, " Help me!" I immediately said, "Shhhh! Listen. Did you hear that?" My sister said she didn't hear zip and looked at me like I was crazy. As I kept hearing the same words, I noticed it was coming from the other side of the lake. The voice sounded like a flute, not like a human voice.Then I realized it was coming out of the actual water. I ran to my dad and told him that I heard voices from the other side of the lake. He said that there was no one at the other side because it was closed to the public and that I should take a nap. He kicked me out of his fishing spot. At this point I thought I was going crazy! Anyway, I went back to my spot and thought no further on it. I just started drawing. A half hour later I heard family members crying and yelling, "We lost him!" Apparently, one of my 16-year-old cousins decided to sneak off to catch the larger fish where the boats go. My cousin Danny had won awards for being the best swimmer and fisher, yet he drowned that day. When my dad was alive, he warned me to never tell these stories to anyone because it might lead them astray from the Christian faith. Now that my dad is gone I feel free to tell all of my stories. Boy there are many. Ms. Yvonne, what was the magnetic force that kept me from getting in the van and made me nauseated. What about the voice? Was it his before he died or after? Iris, you have precognizant, clairaudient, and clairsentient gifts at work in your life, and I'm willing to bet you have had many "sensings" or feelings similar to the one in your story. The magnetic pull was spirit's way of getting your attention in order to get your dad to cancel the trip. You were spiritually aware that something bad was going to happen that day. This is precognizance. You could have heard the voice crying for help before or during the time the drowning was occurring--while there was still time to help. Had his voice come to you after the drowning, your cousin might have given you a "good-bye" message for the rest of the family. The feeling of nausea is a clairsentient gift. Many healers use this gift to ascertain where in the body their patients need a healing flow of energy directed. It's not typical for Christian families to discuss experiences that either do not align with their Biblical doctrine or are frowned upon by the church. Such may be the case with your dad telling you not to speak of your paranormal experiences. However, had your dad listened to you that day, your cousin would still be alive. We do our children a great injustice when we "hush" them like your dad did. Sometimes, as Dr. Caron Goode's book (Kids Who See Ghosts ) explains, parents don't know what to do with kids who see or hear spirits or predict future events. In some cases, the "hushing" parent also has some unexplainable paranormal gifts in operation that he or she is not comfortable talking about—maybe they were "hushed" by their parents and are simply passing down the advice they were given. I can't prove it, but I suspect by intuition this is the case with your dad. He knew better than to go to church on Sunday and admit that he saw ghosts, and he didn't want his kids doing it either. Many times people remain in a dogmatic religion even when they know it doesn't align with their true-to-life experiences. Rather than doubt the church or research the validity of its teachings, folks shut down their spiritual gifts rather than using them to benefit others. Thank you for sharing your wonderful story, Iris. I encourage you to click on the links in this post and read or listen to obtain more information to help you understand and use your gifts. My older brother Hector had cirrhosis in the liver. He was a strong Christian. He was admitted to the hospital the night of November 20 1999. It was five days before my birthday. November 25th he called my house complaining about the hospital food and wanted me to bring him some rice and beans. I spoke to his nurse and she warned me not to bring him anything because his liver wasn't filtering and any wrong food can be a toxin to him. I visited my brother that same night and he surprised me with a piece of cake and a candle. That was so sweet of him. I explained to him about the rice and beans. We spent lots of time giggling and talking about Thanksgiving dinner. On November 27th I had a dream that Hector came to my room and kissed my hand. He was dressed in his hospital gown. He said, " I just came to say goodbye, Sis." That morning I woke up and my room was freezing cold and it stunk like hospital. It was 6 a.m. Everything felt so weird and off key but I got up, took a shower, and did my normal routine. That afternoon I called the hospital to see how my brother was doing. The nurse told me to come in immediately. When I got there they told me my brother was dead. "HUH?" I asked how come no one had called me. They had called while I was in the shower. I asked what time he died. They said that at 5:45 am he went into coma and his heart stopped. They tried to resuscitate him but they couldn't. As long as I live I will never forget the fact that my brother came to me in my dream to say goodbye. I don't get it though. Did he just sneak to my house before the angels got a hold of him and dressed him in white? To answer Iris' question, I must first of all note that this is a Christian family. Nothing wrong with that, but the western Christian faith interprets the Bible with some inaccurate things regarding the afterlife. Since there is no literal place known as heaven or hell (other than what we create in our minds; and that is done more here on earth than in the afterlife), some souls choose to hang around their loved ones—especially near the time of death and several days or week after the spirit departs from the body. Just like the soul who comes here from the Other Side and takes residence in the body of a baby, there may be some disorientation to begin with. (This doesn't seem to be the case with Iris' brother. He knew he was leaving and seemed glad to venture on.) Once the soul acclimates to being bodiless, it may move on to other realms. However, some stay around indefinitely. We might call them earth-bound spirits. Just as in this earth life where we have freedom to choose, so it is in the afterlife. We may travel (as we do many times in our dreams) to visit other people, places, and even explore new experiences. Having a loved one's spirit visit is a very common occurrence and truly a blessing as in this case where the brother loving said goodbye to his dear sister. Isn't that a joy to know that he cared so much to do that? The fact that he didn't return again probably means that he felt she was able to handle his departure, or that he visits in her dream state and she doesn't consciously remember it. Or, he may be giving Iris signs that she's not recognizing. My grandfather's spirit visited me late one evening this week. He passed in 1988 and visited me quite often in the years following, but it had been probably six or more years since I last felt his presence near me. When I used to cut his hair I could smell the "old man" pheromones coming from his scalp. It was this same smell that let me know it was him when I sensed his presence in my bedroom as I was falling asleep. Spirits communicate with us through all senses and they give us signs such as leaving an object in your path about which you might say, "Oh, my brother loved [name the item]." The fact that you are being reminded of him, is a good indication that he is popping in to check on you. 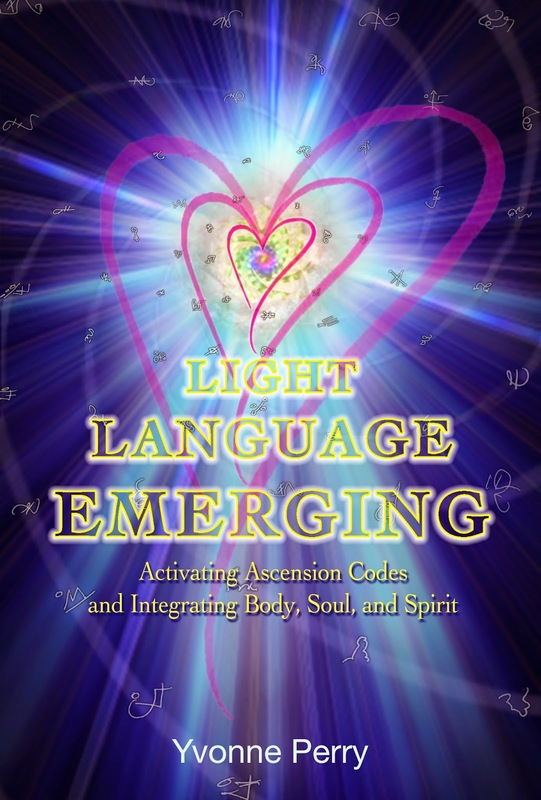 You may want to read Denise Linn's book, the Secret Language of Signs to learn more about the signs God, angels, and loved one use to communicate with us. 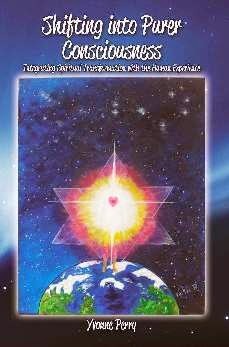 It's so good to know that we are able to communicate our love from the Other Side to those on this earth plane. The soul of never dies. Thank you, Iris, for sharing your beautiful story with us. I wish you and your brother many more pleasant and endearing encounters as you learn to look for his presence. 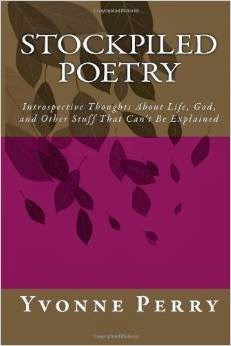 This book was a very enlightening read. I learned a lot—not only about kids who see ghosts, but about how and why it is possible to see spirits in another dimension. The electromagnetic spectrum of wavelengths of radiation is huge, but the narrow band (between 380 and 760 nanometers) that we call light and that most humans can see is a very small fraction of what actually exists. Typically, what we humans can’t see with our naked eye or what our brains can’t understand is thought to be nonexistent, but other species can see these wavelengths. For example, a rattlesnake can see the whole infrared spectrum and ultraviolet ranges. A microscope reveals a world within our world. A telescope shows us things in space that 100 years ago we would never thought existed. You can’t see radio waves, gamma rays, X-rays, or microwaves, but they are very real. Just because you can’t see something, does not mean it doesn’t exist. It is possible that the eyes of a child have the ability to see in more ranges and spectrums than an adult. The fact that children see things adults don’t is also explained by brain development and whether or not the culture in which the child lives accepts seeing spirit walkers as the norm. Children have not been conditioned like adults have and therefore do not know that they are not “supposed” to see spirit walkers. 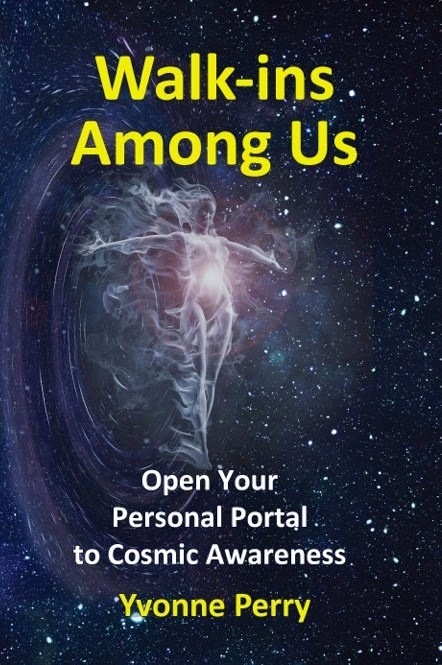 Through reading this book I also learned that many things can trigger a ghostly experience by activating the temporal lobe, the part of the brain associated with psychic activity. When in a meditative, altered, or dissociated state of awareness, it is possible to see into these “hidden” spectrums even if only momentarily. Any person under stress or trauma can phase in and out of the brain states that are open to seeing apparitions. Younger children’s brain waves tend to linger in the dreamy states. Psychiatrist Carl Jung believed that ghosts and hauntings were universal occurrences. I believe that as society begins to accept paranormal experiences as scientifically and physically possible and more people are free to talk about their psychic vision, these gifts will be used in a positive and productive manner. Caron affirms that children (and adults) who see ghosts are not crazy. Children should be allowed to talk about seeing spirit walkers without fear of being judged or reprimanded. Therefore, traditional parenting and teaching styles do not work with intuitive kids who see ghosts. Regardless of whether they believe in ghosts, parents of these psychic kids can learn to integrate spirit communication as a matter-of-fact part of life. When a child speaks about seeing a ghost, casually remind the child that he or she can set boundaries and is in control. Since the intention of some ghosts is not the best or of the light, it is wise for a parent to be discerning about whether to allow a ghost to remain. Kids can exert their power over spirits in much the same way they would if a bully was bothering them. It is fine to tell a spirit to “Go to the light” or “Leave me alone.” Teach the child to call upon his or her guardian angels for protection. My next paragraph is excerpted from the book because I feel it is important for readers to know that you or your child are not at the mercy of intruding ghosts. Children can defend themselves spiritually. 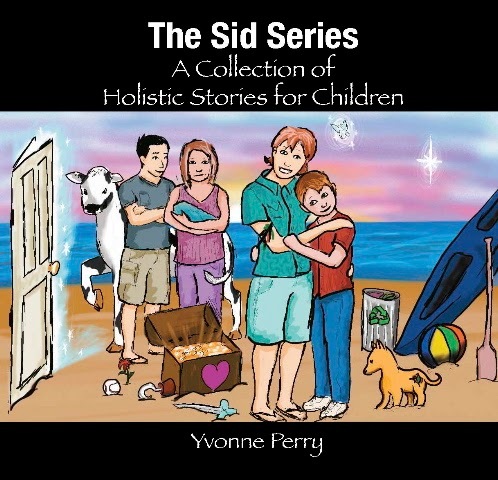 In Section 6, Dr. Goode gives useful tips for parents with various thinking styles to help children according to their individual temperaments cope with fear and incorporate an empowered approach to life—not just for managing their fear of ghosts, but for dealing with anything they may be afraid of. This chapter is worth the read even if your child doesn’t report seeing ghosts. Healthy interaction with the invisible worlds can give us the information, support, and caring we need to become healthy human beings. The only thing I did not like about the book was the section in which Joe Nickell suggested telling children that ghosts do not exist except in our minds. This entire chapter seems to contradict and undo the comfort and encouragement provided by the other experts in the book. As the author states, it’s much easier to give a child a pill than to educate yourself and adopt a new parenting method. It takes courage to teach or raise intuitive children. I’m thankful for Dr. Goode’s book because it gives parents the information they need to feel more confident in helping a child overcome fear and put any event into perspective. I think it is about time we begin to let go of our preconceived ideas about what is “normal” and begin to use the wisdom and principles in this book to help guide kids who see ghosts through their fear. I highly recommend this book to anyone who wants to learn more about this topic--especially those who work with children in any capacity. 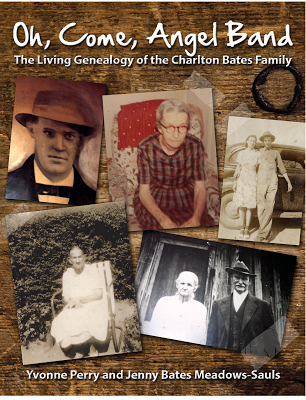 Today is the launch for this book on Amazon. Get your copy at http://kidswhoseeghosts.com/buy-now/ and collect some terrific bonus gifts!